With the introduction of our Active-Active Synchronous Replication (called ActiveCluster) I have been getting more and more questions around multiple-subnet iSCSI access. Some customers have their two arrays in different datacenters, and also different subnets (no stretched layer 2). 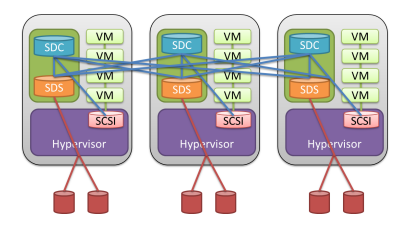 With ActiveCluster, a volume exists on both arrays, so essentially the iSCSI targets on the 2nd array just look like additional paths to that volume–as far as the host knows it is not a two arrays, it just has more paths. Consequently, this discussion is the same as if you happen to have a single array using more than one subnet for its iSCSI targets or if you are using active-active across two arrays. Though there are some different considerations which I will talk about later. Sorry the title is a bit of a mouthful. So with the amount of questions I have received on it, it is probably worth putting pen to paper on it. Nothing profound here, basically a walkthrough. This is of course assuming you are doing port binding. If you are not, then just the standard software iSCSI setup (as described in the above 1st post) is needed. I jumped on a call the other day to talk about iSCSI setup for a new FlashArray and the main reason for the discussion had to do with co-existence of a pre-existing array from another vendor. They were following my blog post on iSCSI setup and things didn’t quite match up. To setup multi-pathing (the recommended way) for Software iSCSI is to configure more than one vmkernel port that each have exactly one active host adapter (physical NIC). You then add those vmkernel ports to the iSCSI software adapter and the iSCSI adapter will then use those specific NICs for I/O transmission and load-balance across those ports. I recently posted the process of configuring iSCSI on ESXi with the Pure Storage FlashArray. One of the things I left out is (optional) CHAP security configuration. It is a pretty straight forward process but worth writing down to save anyone who wants to configure it a few document cross-reference checks. 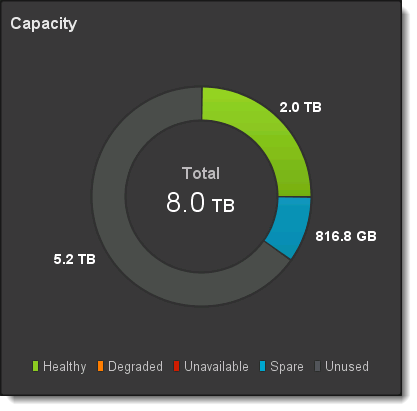 I’ve been with Pure Storage for about ten months (time flies!) and a noticeable trend I’ve seen in the past six or so months is in the number of customers who are deciding to use iSCSI as their storage protocol of choice. This is increasingly common in greenfield environments where they don’t want to invest in a Fibre Channel infrastructure. I’ve helped quite a few set this up in VMware environments so I thought I would put a post together on configuring ESXi software iSCSI with the Pure Storage FlashArray (I have yet to see a hardware iSCSI setup). I recently posted about adding capacity to a ScaleIO storage pool, so the next logical step is provisioning a new volume. In this post, I am going to cover the straight-forward act of creating a new volume from a storage pool, mapping it to a ScaleIO Data Client (SDC) and then presenting it to the VMware cluster.